Cycling shorts are the most critical component of any cyclist's attire, which is why we offer an anatomical cut and twice as many size options. The CP5 Pro cycling shorts can be considered on of the best pairs of custom cycling shorts on the market. 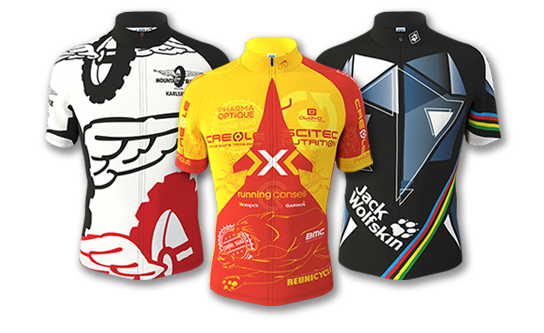 They were specifically designed with the help of professional cyclist to provide an athletic, aerodynamic and comfortable fit that will provide a maximum in comfort even over longer distances. Our unique OFIT size system allows each rider to choose from 15 sizes, ensuring that you will find your preferred fit. 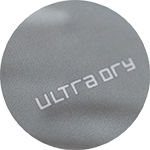 In order to meet the demand of personal preferences the shorts can be outfitted with a high end Race- or Endurance Pad; You will have to decide between a true or more cushioned feel. 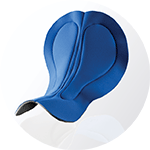 Customisable U-Shaped Panel covering both the sides and the rear. 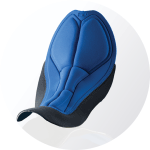 Default Features: with straps (Bib Short), TI-Tex, Race Pad. For this product, you can pick between various options. The following surcharges and discounts apply per piece. Different product features, for example with straps (Bib Short), without straps can be cumulated, when ordering at least 5 of each variation. When ordering 15 of one variation and 5 from another variation of the same product, you will receive the unit price for 20 items. For the unit prices to cumulate, you must order at least 5 of each variation. Additionally: The shorter Men's Bib Shorts CP5 Pro can be cumulated with the shorter Women's Shorts CP5w Pro.